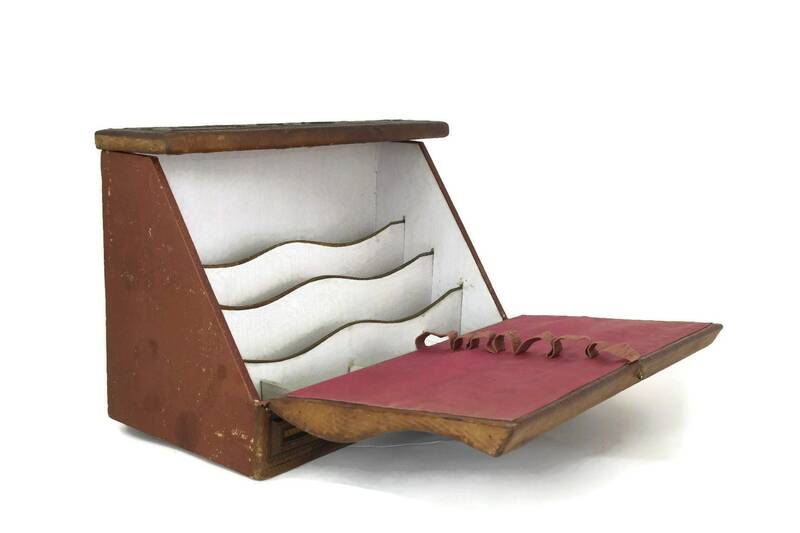 An elegant French antique leather desk and stationary organizer dating to the early 1900s. 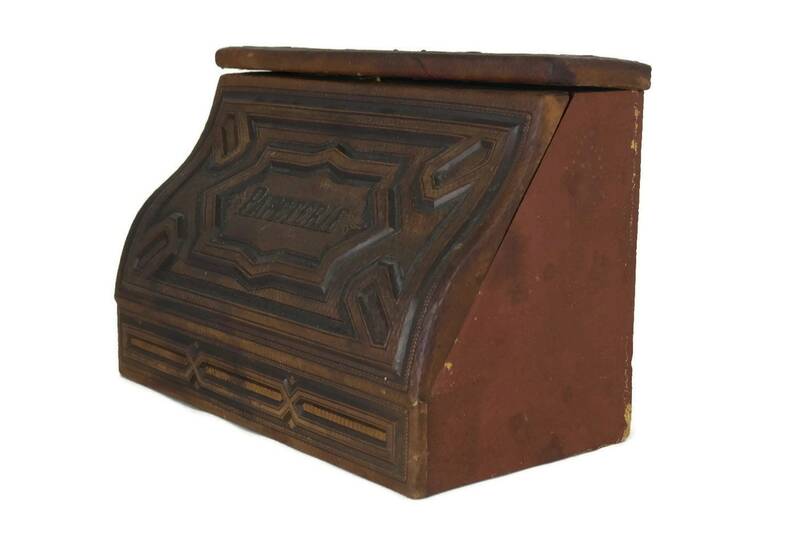 It has been created in the form of a traditional desk top and features a beautiful embossed leather surface with a deep relief design. 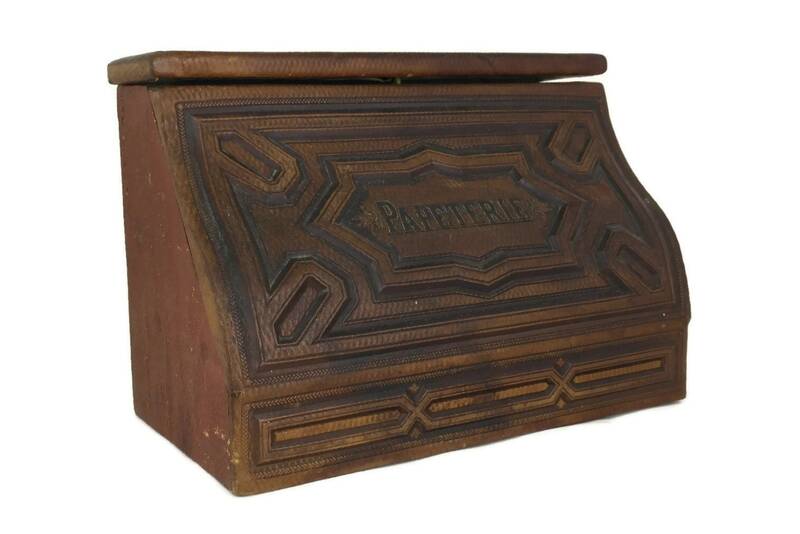 The front of the writing paper and letter holder box features the French word for stationary, "Papeterie" in bold letters. 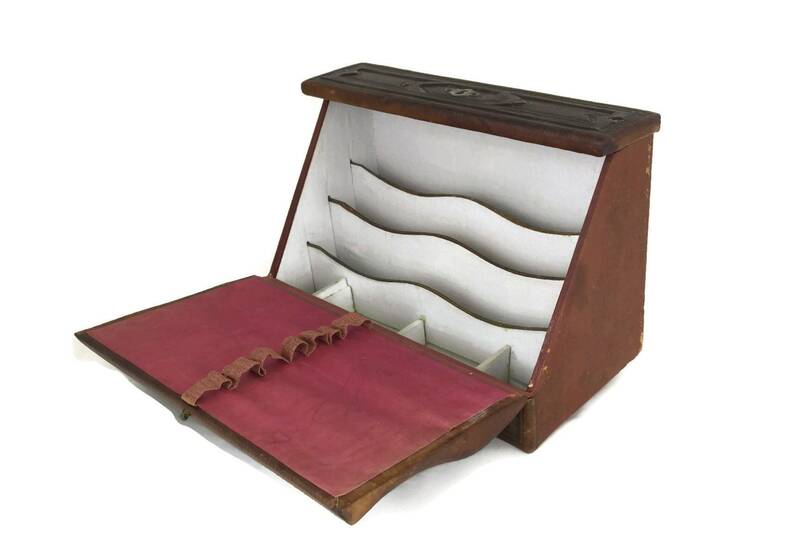 The organizer opens to reveal an interior lined in white moiré paper with sections for organizing stationary and office supplies including ribbon loops for holding pens and pencils. 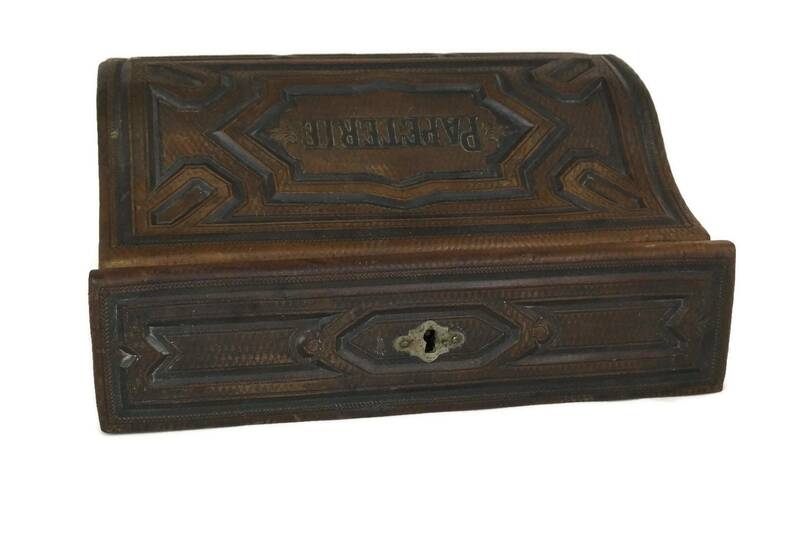 The box has a lock mechanism but the original key has been lost. 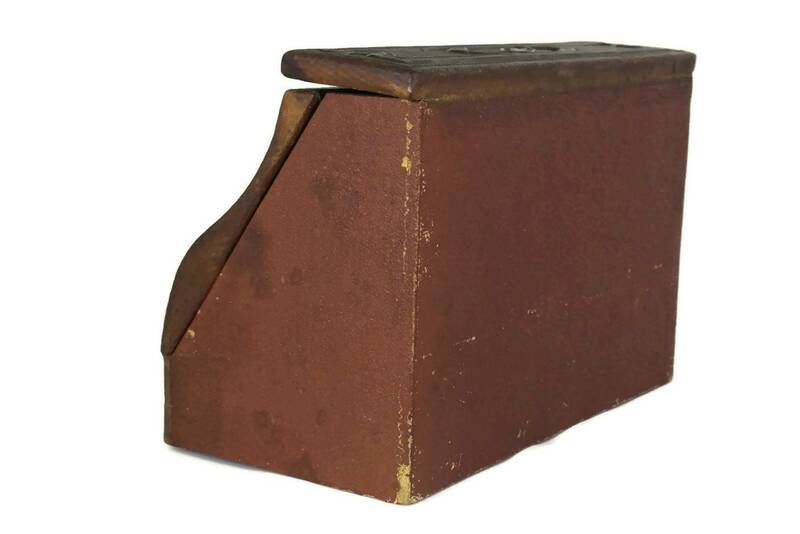 (23 cm x 16,5 cm x 13 cm). 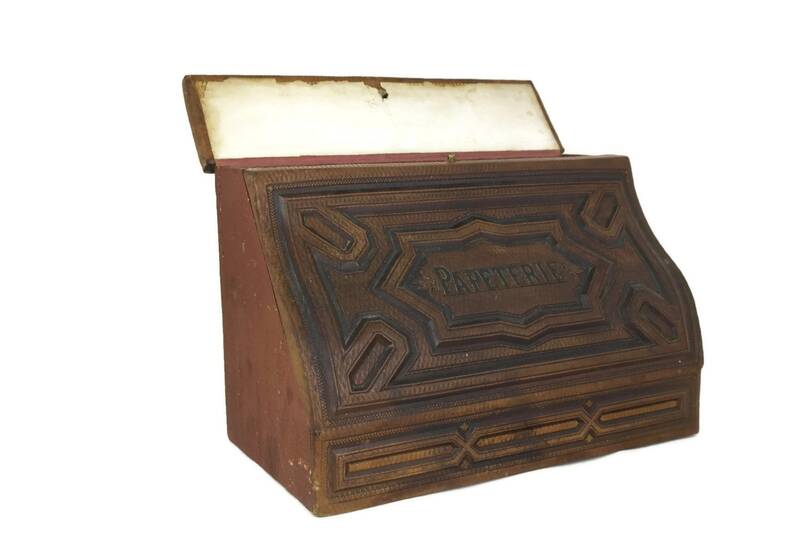 The antique desk organizer is in good condition with some signs of age including surface marks, patina and wear to the leather in places. 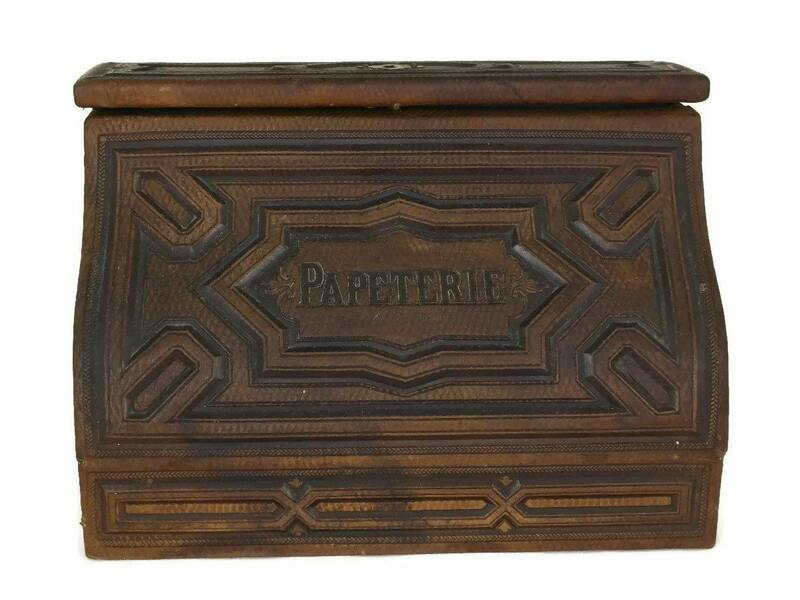 Antique goodness. 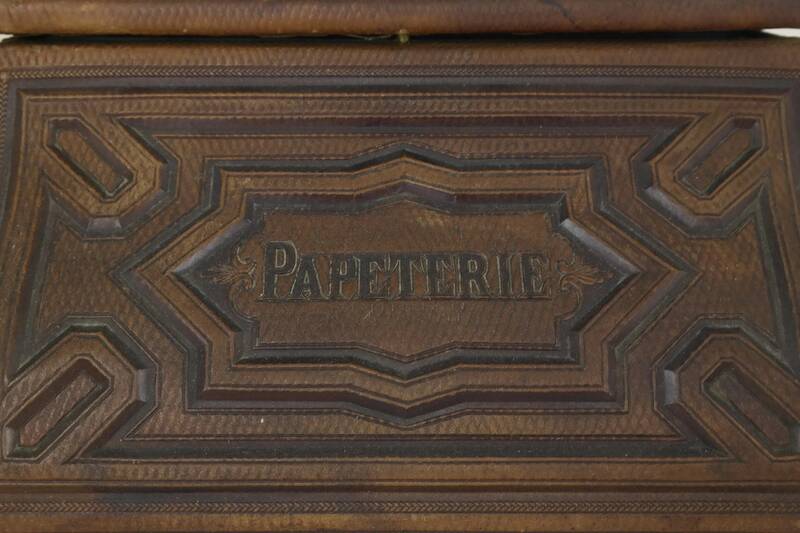 Intricately patterned leather cover. 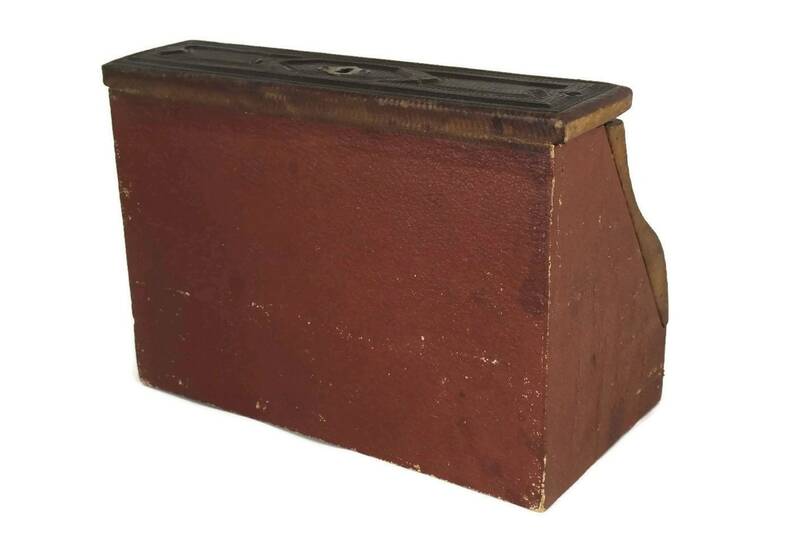 Could be straight out of Sherlock Holme's desk. Commendable delivery, unexpectedly fast. Solid five stars.